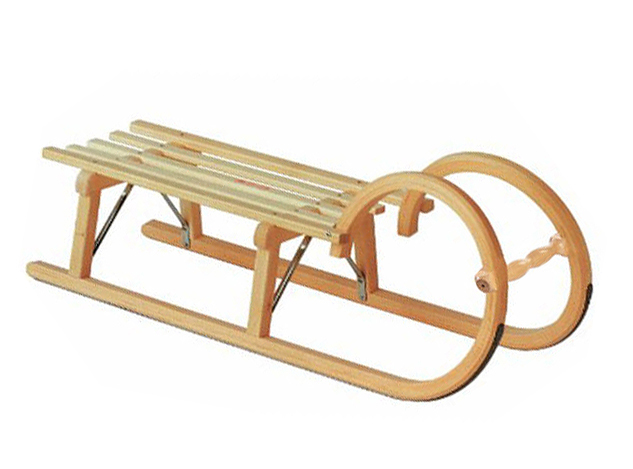 The Ress Horned Davos Rodel 100 traditional children's wooden sledge is ideal for children. 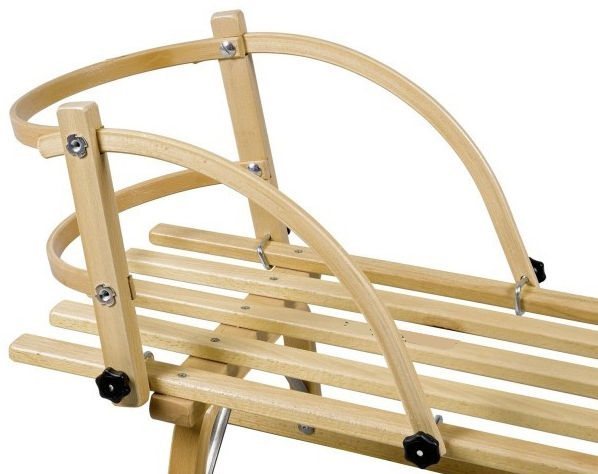 The main structural components and skids are made from ash wood for terrific strength. Steel runners attached to base of skids. All timberwork coated with hardwearing polyurethane. Size 100 x 34 x 37cm. Weight 5 kg. 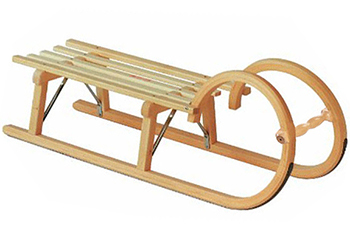 Our traditional sledges are made in Bavaria in Germany by specialist sledge-maker Ress, founded in 1696 as a coach builder, who for generations have built some of the best traditional wooden sleds in Europe. Unlike many other wooden sledges on the market, these are built in the traditional way, and are designed to stay in families from one generation to the next. When buying a family sledge, it is worth taking the long-term view and buying something of real quality.